Photographic Memory explores the complexities of personal, ancestral and collective memories, and looks at how we employ these to cope with the seemingly unfathomable notions of time and space. 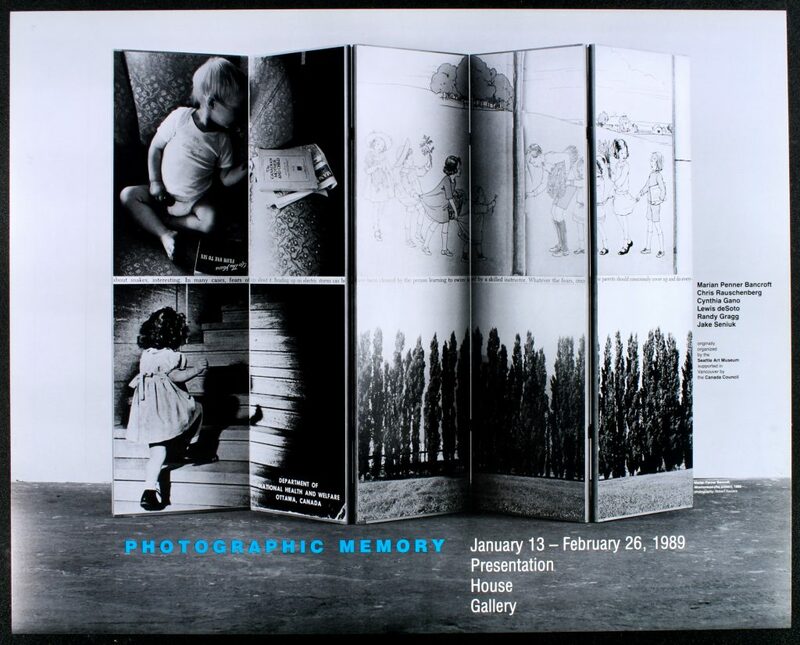 Folder catalogue, produced by Seattle Art Museum, with an essay by Rod Slemmons. Poster for the exhibition "Photographic Memory"